Ecommerce is causing many traditional retailers to close stores and go out of business. With help from the team of Surrey web design, few have shifted to ecommerce entirely to remain in business, cutting costs while still moving inventory. Brick and mortar stores that set up a good ecommerce website enjoy far higher sales for a traction of the investment of a new retail outlet. What are a few methods to improve an ecommerce website, increasing customer conversions and sales? Your content needs to be rich in detail and describe the product, but it cannot be thin content with repetition of keywords or rephrasing the search terms. Include information like performance specifications, warranty information, items included in the product bundle in addition to model numbers and serial numbers. This approach helps your customers find the products they need in a search on your ecommerce site as well as improves search engine optimization of the product page when people search the internet for it. Ecommerce pages can and should include SEO, such as putting the key search terms in the product title or the bulleted list of product specifications. Don’t forget on-page SEO that isn’t part of the content like properly formatted headers, tags and page descriptions. 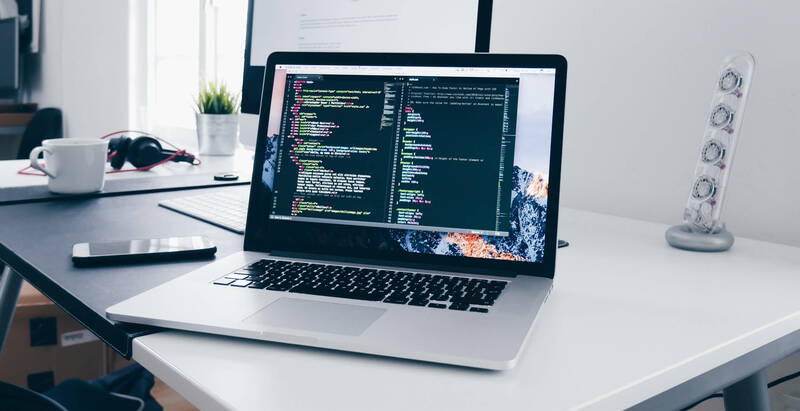 A Surrey web design company can update your ecommerce pages to improve the SEO of the product pages without being flagged by search engines as spammy. Instead of simply showing the front, side and top of a product, show the vacuum cleaner being used, the inside pockets of a jacket, the toy in use with all the components around it. The image should present why someone would want to buy it. Your ecommerce listings need to use at least one high quality image, and user habits mean the most important needs to be placed in the top left. The less important images should then flow across the top or down the side of the ecommerce page. Remember that the image load time should not slow down presentation of the page or you risk losing the customer. You should seek to present the same “look” across your entire ecommerce site If you show images across the left side of the page on one ecommerce page, you should do the same for the other products. A Surrey web design can update your entire ecommerce site to the same, polished look to impress visitors and convert more to customers. Design your ecommerce site to be as flat as possible for the product structure. Consider this the digital equivalent of merchandising. Pants should be separate from shirts, and clothing should be on a separate section of the site than shoes. However, every level of the product directory structure people need to navigate to find the right item costs you a few potential customers. This does not include the ability to sort products by criteria like size, brand, style or color. Place the Surrey website design structure map on the side of the page no that people who end up somewhere they don’t intend to be can click once to go where they want to go instead of hitting the back button and hoping they return to the level they last thought was the on the right path. One of the leading causes of shopping cart abandonment is a surprise at the end as to the total price. Make the total price clear early in the process, such as estimating shipping and taxes. If someone thinks they are getting an item for $50 and the total comes up to $62.99, you’ll lose them. When your free delivery requires reaching a net threshold, show this prominently when someone adds a cheaper item to the cart to entice them to add more items or upgrade to a product bundle. You can convert many customers by clearly delineating the product by itself from the upgraded product bundle while giving them the ability to compare the product and the bundle on the same page. If the bundle’s price is only somewhat higher, they’ll often upgrade to the bundle — especially if the price point of the bundle makes them eligible for free shipping or faster delivery. Every click and data entry field you present to customers costs you a few potential customers from the implied hassle and effort. This is why the one click ordering process was developed by Amazon a few years ago, and the “one push to order” app is no popular in business. If you make checking out easy, you lose fewer people who are in the final step in the conversion process. If you simplify re-ordering, you’ll keep existing customers to buy again, reducing the need to find new customers. Remove the drop down menu for salutations. Minimize repetitive data entry by customers. Copy the delivery address as the billing address but give customers the ability to alter it. One often overlooked ecommerce page necessity is making the location for coupon codes and discount codes prominently visible early in the checkout process. You’ll gain points with consumers if they see the discount percentage applied immediately and a small notice at the end of the checkout as to how much they’ve saved. This is our editors favourite tip from our surrey web design experts. Provide clear instructions on how to contact customer support, whether it is to cancel an order or correct payment account information. Never tell people to send an email to customer support without following up almost immediately. Do not put a customer service phone number on your web design in Surrey BC and fail to take messages and return calls. The worst mistake to make is posting information about how to reach customer service that then fails to work, whether a customer service email that bounces or phone number that fails to go to voicemail. While chatbots may provide some assistance, never leave people at their mercy without the out of contacting a human for help. You can market to customers when you send status messages, whether thanking them for their order while including a coupon code for their next order or including a call to action to follow you on social media at the bottom of a notice that their order has shipped. Unlike pure marketing emails, the email marketing is built into messages customers see as reasonable to receive. It won’t be treated as span and can be used to build the customer relationship over the long term. Newer Post 30 Awesome Athlete Website Showcase Part 1	Older Post Why Do I Need a Vancouver Web Designer for my business?